Analog Man carries the Boss LS-2 Line Selector. The LS-2 makes it easy to switch settings among several effects and to route input and output signals. Two line loops and six looping modes provide a wide variety of applications. The LS-2 makes it easy to switch settings among several effects and to route input and output signals. Two line loops and six looping modes provide a wide variety of applications. 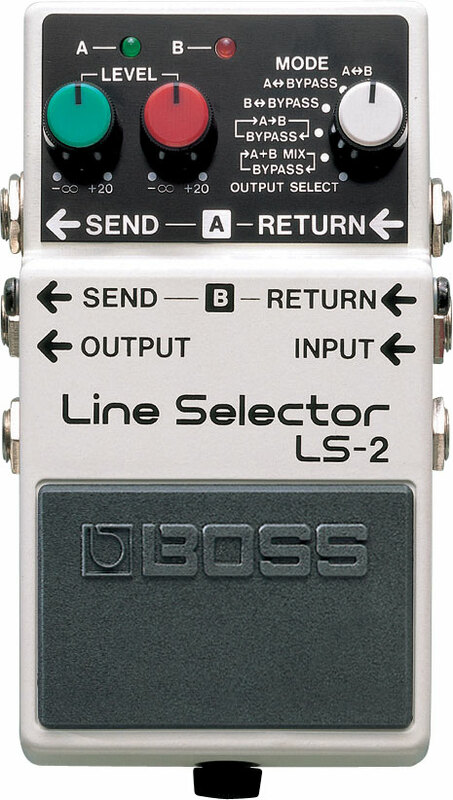 Used with an AC adaptor, the LS-2 can also supply 9V DC power to several BOSS compact pedals. This makes it an ideal power supply and master switching unit for multiple effects setups.